24.08.2013. The Valley, Charlton, London, England. FA Championship football. Charlton FC versus Doncaster Rovers. 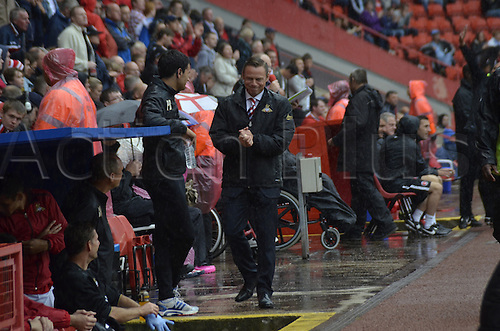 Paul Dickov tries to keep dry.